Now, originally, the underworld was the abode of all dead, both the righteous and the wicked. This accords well with Mesopotamian ideas of the afterlife. Later the wicked were thought to be punished in an eternal fire, which was referred to as Gehenna in the Greek, a transliteration of the Hebrew "Valley of Hinnom." This valley is where waste was burnt, and it is where child sacrifices were said to take place during the monarchic period. The concept of Sheol was subsumed in the concept of Gehenna, and by the time of the New Testament, the Hebrew word שאול was translated with the Greek word αδης, which had become a generic term for the underworld (see Psalm 16:10 and the Septuagint translation, which is 15:10). 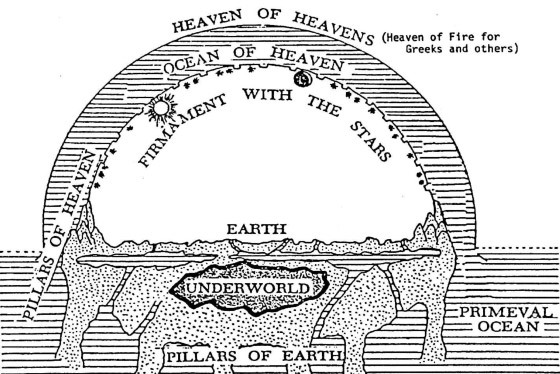 The Greek concept of the underworld was not fully translated with the Jewish or Christian appropriation of the word. No, it should not be translated "grave" across the board. There are some places where that's a legitimate translation, but there are many others where it is not. I'm thinking here of Ezek 31:16, where it is parallel to "world below," Amos 9:2 and Ps 139:8, where it is contrasted with "heavens," etc. Actually the concept of Gehenna is a pretty close parallel to the modern Judeo-Christian concept of Hell. That's a ridiculous argument. They just appropriated the name, just like Arab Christians call God Allah, and Jews call God El, which was a Canaanite and early Babylonian deity. They're just names. I don't think you're using the best resources. Just using good common sense is all. You sound like an intelligent guy. Please study that link and get back to me. Thank you. What I keep telling you is that if you study the Bible you will learn what the Bible means when it talks about Sheol aka Hades, no matter how it is translated. Once you learn the truth, you wont have to worry about how KJV translates it, because you KNOW what they are talking about. Context matters, so why bicker over the translation of a word? Sheol aka Hades is a temporary adobe of the dead. When Christ died he took the righteous dead from Hades good side (aka Abraham's bosom aka grave aka paradise, but not a physical hole in the ground where the body is buried) with him to heaven, so at this moment Sheol/Hades is a holding place only for the unbelievers aka the wicked. Sheol aka Hades is a temporary adobe of the dead. When Christ died he took the righteous dead from Hades good side (aka Abraham's bosom) with him to heaven, so at this moment Sheol/Hades is a holding place only for the unbelievers aka the wicked. That is absolutely and horribly untrue. Please check out my response to this on my thread, "defining words." No, actually it is not untrue, it is true. You should have read your own link before posting it. Have you read the link on Sheol/Hell in the Old Testament? If you did, please tell me what exactly you disagree with. No, don't look up Hades, look up 'lake of fire', since that is the word you used. Look up rhw Greek words and their translations. This is exactly why people like logoman want to bicker over the translation of the word Hades, which is translated as hell in KJV and not the same thing as lake of fire. It is a deliberate effort to mislead people. I've already done that Finn. I know that the lake of fire is not the same thing as Hades aka Sheol.......the lake of fire is symbolic for God's spiritual fire. That's it...it's not a literal place. And that is where Hades is thrown into? God's spiritual fire, where the smoke of the torment will rise for ever and ever? How did you come to that conclusion? Let me repeat this: It just dawned to me that you don't even know what I am trying to tell you. You are too eager to promote the idea that priests, popes, preachers, teachers, and translators are all wrong, but you got it right. If you KNOW WHAT SHEOL IS, THEN WHY DO YOU WORRY ABOUT KJV TRANSLATION???? The only people who cling to such things are those who are on a mission to discredit the Bible. The Bible explains what Sheol and Hades mean, so why should we care if KJV translation uses a word you don't like?? You admitted you know Sheol/Hades IS NOT same as lake of fire, and you seem to know what Sheol/Hades are, so where's the beef? Didn't I just say "do not look up Hades, look up lake of fire". They are not the same place. I said it because the Bible teaches Hades is NOT the place os eternal torment, the lake of fire is. So I asked Ilene to look it up in Greek because I know from past conversations with her, that she thought they were the same place. I don't care if KVJ translates Hades as hell, because anyone who studies the Bible will learn what Sheol/Hades means, and that it is not the place of eternal punishment. Everything is explained, so you do not have to rely on a man's translation of one word. The more I hear universalists deliberately mislead people by bickering over meaningless translations, the angrier I get. It is so obvious that they are on a mission to prove there is a contradiction in the Bible. Why? Because if they can prove even one contradiction, they can claim that the Bible has no credibility. Satan has been on such mission for hundreds of years, but so far he has not been able to prove such contradictions. PS If you use Netbible to see the Greek words for hades, you'll see it talks about "adhv" the realm of the dead 3) later use of this word: the grave, death, hell In Biblical Greek it is associated with Orcus, the infernal regions, a dark and dismal place in the very depths of the earth, the common receptacle of disembodied spirits. Usually Hades is just the abode of the wicked, Lu 16:23; Re 20:13,14; a very uncomfortable place. Revelation 20:14 says Hades is thrown in the lake of fire, so how could they possibly be the same place? Hades is thrown in with all its inhabitants (the wicked) into eternal place of punishment: the lake of fire. NO Finn, I have never thought that hades and the lake of fire are the same place. The only person I know that thinks hell is referring to the lake of fire is Mike555. He just said it in another post somewhere. He seems to think that the word "hell" covers all of it. Yes, I call lake of fire hell too, althought I can settle for other names. It doesn't really matter what you call it, it is still the same place. New York City has many names too, but it's still the same place. PS. You did think Hades and lake of fire was same. That was only a few weeks ago, but if you have that clear now then it is water under the brigde.